Great News!! 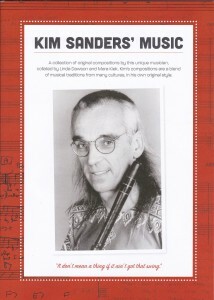 Kim Sanders’ Music book is available. At last! The book containing most of Kim’s compositions is finished! 39 tunes, some full scores, some simple lead sheets, including “Kong’s Dream” and “Istanbul Bluesu” are waiting to be played by musicians who want to have fun with bent grooves. Kim explored rhythms and scales of music from many lands and incorporated them into his compositions. Please email Linda Dawson at kimzmusicbook@hotmail.com to place your order. We (Linda and Mara and team) are still working on getting Kim’s charts ready for publication. Linda had over optimistically organised musicians and venues in February to have an Extra Vaganza Concert to launch it, and showcase the music he had created. These plans are on hold until the book is ready. As it is a labour of love dedicated to his memory it takes its own time. The book is primarily charts of original music you will have heard Kim and his bands play, with some of the back stories to their existence. We hope musicians will take these melodies and make them their own. You will be contacted when all is ready and the concert launch is happening, and i hope you will grab the opportunity to hear his music played by wonderful musicians who all knew him well. To honour Kim’s life work, Linda is compiling a book of (some of) his compositions. Close friends are putting a lot of time into this project. Marrickville is partially funding the costs. 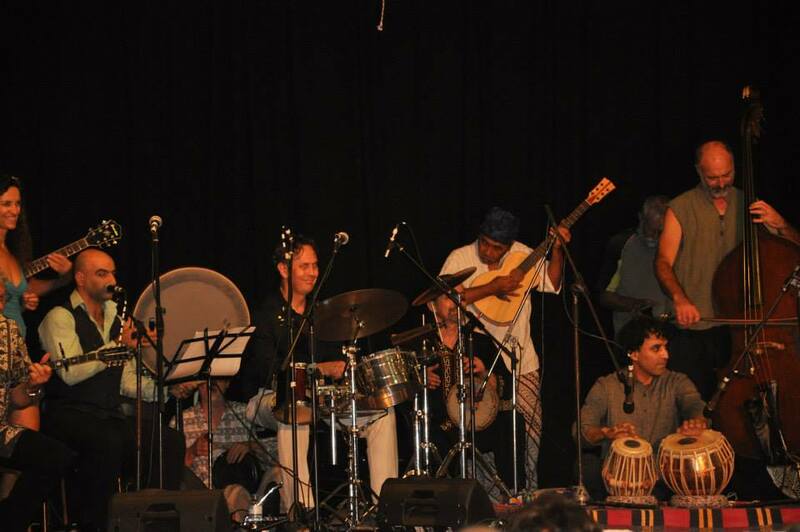 It is hoped to have a launch concert next year (2015) to showcase his music with members of Brassov, GengGong, and the long line-up from Kim Sanders & Friends.